How can I book an apartment/room? To begin you must first go to the BookingSafe homepage, where you will indicate the desired destination, dates of your stay, and the number of people that will be using the property (you can specify the number of adults and children). 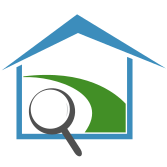 The search filters allow you to search for properties by location, price, availability for parking your car, access to internet, and much more. The displayed list of apartments is all the ones that are available in the dates indicated and can be reserved. To view the details of each property, equipment, rent conditions, exact location, etc. simply click on its name and you will view the information. After you have chosen the apartment and have filled your contact details, you will be able to choose from payment methods. You must choose a payment method to pay the booking fee from the following: Skrill, Paypal, BTC, or Webmoney. After you choose to pay the booking fee, you will immediately receive an email with the confirmation of your booking and all the details of the booking. I want to make a reservation, but I seek for an apartment with special features. How can I do it? The search system of BookingSafe allows you to apply the filters that you might need. If you have any questions, do not hesitate to contact info@BookingSafe.com. I have a question about a feature of the property. What do I do? BookingSafe properties are the most detailed in the market. You should find all the information needed because our aim is to make it as easy as possible to make a booking and for our clients to be provided with lots of information to make a decision. However, if you have any doubts of any features of a property, you can write us at info@BookingSafe.com or ask it on live chat. At what time can I arrive or leave from a property? (check-in and check-out)? This information can be found in the section of “Policies” of the property. also you can provide your estimated time of arrival for owner. How can I know if a property has an available car park? In the property section there is an icon which indicates that there’s an available car park. if the icon does not exist, there will be be no car park. I tried to make a reservation, but there are no apartments available. What do I do? It may be that we do not have any available apartments in that area, for those dates, and for the number of people. If the stay you have indicated is for many people and there are no properties that can accommodate them all. In this case, you can repeat the search filter with fewer people and it is possible that you will find several properties and that your group can split. How will I receive the confirmation of the reservation and the keys? The confirmation of the reservation will be sent to your email with the email address that you have indicate in the process of sign-up in our site. also these information are available in section of "booking" of your account. I want to leave a comment for the property. How do I do this? After the departure of your stay, you can find "Review and Rate" link in the section of "Bookings" in your account. Through this link you will be able to leave any comments about the property, which will be published in the online page of the property. All comments, both positive and negative, will be published as long as they don’t contain abusive, threatening or advertising language. Our aim is that all information provided in our webpage is truthful and real so that customers can make a better decision.